Redundant pallets? We pay the highest prices! The Palletcentrale can offer wood pallets, plastic pallets, heat treated (HT) pallets (ISPM15), pallet collars, rack decking and wood fibre pallets. Our modern pallet factory, with a production capacity of more than 2.5 million pallets per year, produces every possible type of pallet, in both standard and customer-specific versions. Thanks to our comprehensive range, multiple branches and additional services, we can offer a complete pallet solution. We can reuse, recycle or repair your old pallets. Regardless of whether you want to sell single-use pallets, Euro pallets, CP pallets or other pallets, get in touch with us. Thanks to our highest price guarantee, you will get the best price for your pallets. 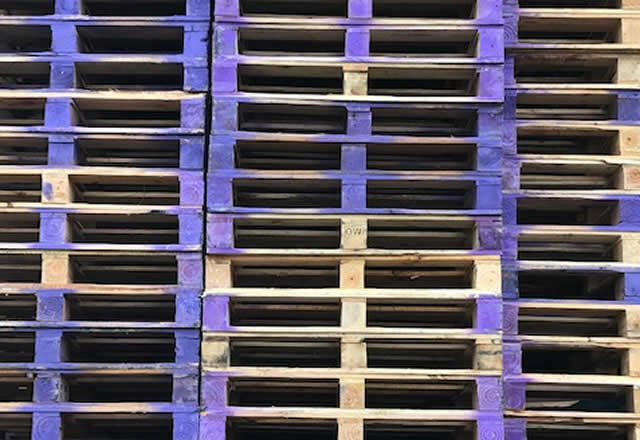 Do you have redundant pallets? Then click on the button below.